CLASS Seminars program graduation at Belmont University in Nashville, Tennessee, December 14, 2017. A new class of local high school students graduated recently from the College of Liberal Arts and Social Sciences (CLASS) Seminars program, an opportunity that allows the students to attend lectures and participate in collaborative experiences in education, humanities and social sciences. Comprised of 24 sessions, the series begins in the spring of participants’ sophomore year and continues through the fall of their senior year. 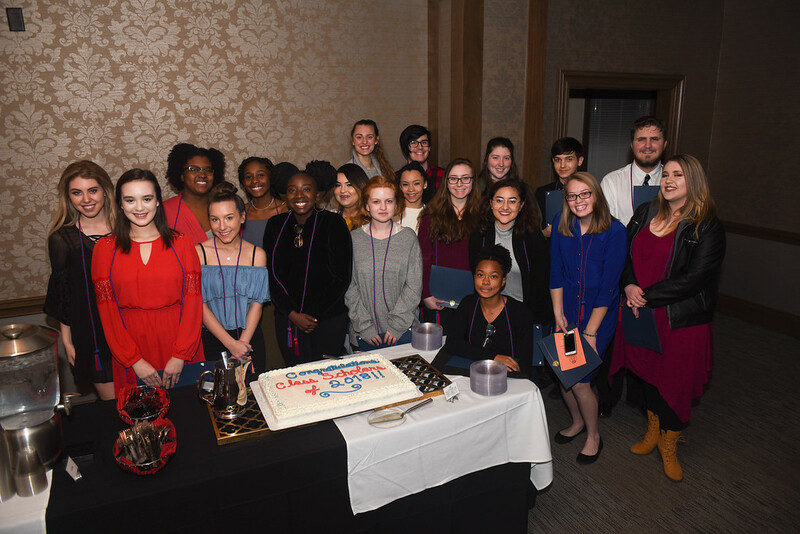 The CLASS Scholars who will graduate from high school in Spring 2018 finished the Belmont program this month and celebrated with a graduation ceremony on campus. Students in the program attend cultural events such as the Nashville Shakespeare Festival winter performances and the Belmont Humanities Symposium. The remaining sessions are seminars presented by Belmont professors and other experts in the community. This year’s class was selected based on their applications and nominations from their schools. Twenty students from eight area schools participated in this year’s graduating class. The program is designed to educate students on what the humanities and social sciences have to offer and introduce them to subject matter that might not be covered in their daily high school curriculum. After completing the seminar series, participants have a better understanding of where their interests lie and possible collegiate majors that could be a natural fit. In addition to participating in educational lectures and experiences, students complete community service projects, a required aspect of the CLASS Seminars. Thirty-five students who will graduate in 2020 were recently admitted to the CLASS Seminars program and attended an orientation last week.